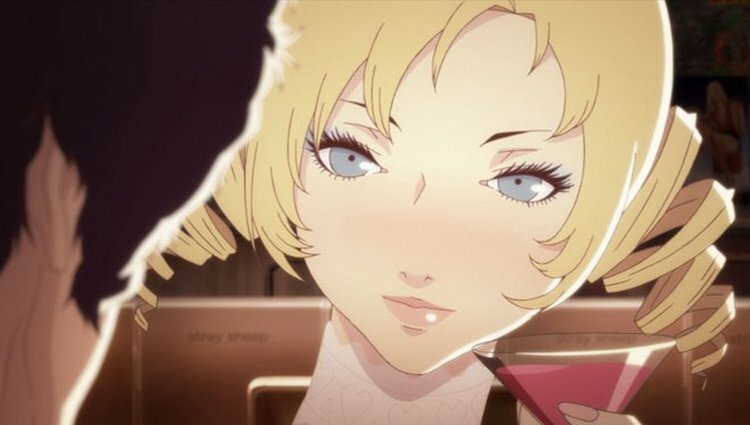 Catherine, the 2011 release by Atlus, needs to be a movie now! As we speak, every studio in Hollywood is wondering what video game will make them the first great video game movie, and while the upcoming Warcraft and Assassin’s Creed totally have the ability to take that title, if Catherine is fast tracked for a Valentine’s Day release of 2017, Catherine will 100% take the title of being one of the first great video game movies. Catherine is marketable: it’s a romance movie, it’s an action movie, it’s a comedy, it’s a drama, it’s relatable, and it would be cheaper to make than most blockbusters due to it not being as effects heavy as a superhero movie. If this movie came out on Valentine’s Day it will make double the money that both 50 Shades of Grey and Kingsman made this year combined, because it would appeal to both of those audiences. So what’s the story? Vincent is a 30 year old man child who is stuck in a rut. He’s bored and doesn’t know whether or not he wants to go to the next level and marry his current girlfriend, Katherine. One night he stays at the bar later than his other friends and ends up getting drunk and cheating on his girlfriend with a 22 year old freak named Catherine. What follows is a weird supernatural and psychological adventure as Vincent deals with dreams of him having horns, attempting to escape from Hell with other patrons of the bar that he sees as sheep. As people die in the dreams, of course they die in real life, all of them having some connection to Catherine. Vincent tries to run away from death while dealing with his real life issues. When it comes to director, I see no better fit than Lake Bell. While she’s directing, just let her write and star as Catherine as well. She’s perfect for the role, and if you have doubts about her doing this go and check out her movie that she wrote, directed, and starred in titled In a World and prepare for your mind to be changed. The difficult part is with the casting of Vincent because he needs to be someone really likable, it’s going to take a lot for an audience to cheer for a dude who cheats on his girlfriend after all. Because of this, I feel like the perfect choice is Donald Glover. Glover is a great actor, and also a great comedian, so I think he would be able to play the part pretty well. As far as the Succubus Catherine goes, cast Margot Robbie from Wolf of Wall Street and the upcoming Harley Quinn in Suicide Squad. She’s perfect for the role and honestly looks very similar to the design of the game character. Thomas “Boss” Mutton, the *spoiler* bad guy *end spoiler* and also owner and bartender of Vincent’s go-to bar, Stray Sheep, should be played by Nick Offerman. Offerman has the stern look and comedic chops to be able to pull off this role. Here’s the thing about this movie, it should be funny. It should give you those good belly laughs that make it hurt to breathe, the concept is ridiculous and it should be handled as so. But, just because it’s funny doesn’t mean it also should negate any of the dramatic or earnest moments that are still made in the game. The budget of the movie I would guesstimate to be somewhere around $60 million to shoot, but it really depends on how much of the movie would take place in Vincent’s dreams vs. reality. As previously stated, this movie would destroy the Valentine’s Day weekend box office.